For those of you who read the preview today, you are aware that the kit only provides a single pair of rocket pods. Now it is true that warplanes spend 99% of their time sitting on the ground unarmed. However, modelers like their planes to be armed, especially attack types. So Croco has provided a full set of weapons for you to properly max out the load on your Archangel. 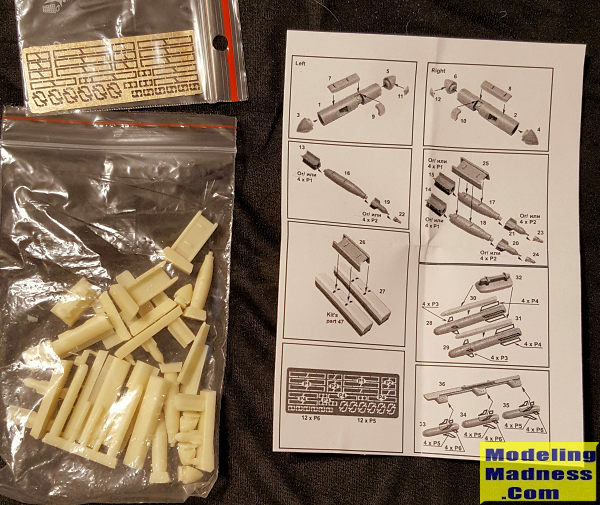 The set is superbly cast and provides a fairly good size photo etch fret for the fins of the bombs and missiles. You get a pair of rocket pods, four laser guided bombs, four Hellfire missiles and three other missiles. These latter ones are quite short and are mounted on a centerline pylon that I assume can be installed in place of the FLIR. All of the required adapters are provided either as p.e. or resin. Instructions are shown above and are well drawn so you should have no issues in that regard. These weapons could also be used on other kits besides this one. 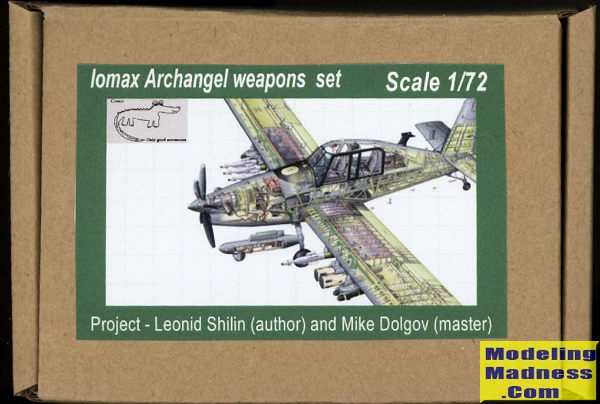 If you like your light attack planes fully loaded, then you should order this set along with your Archangel kit.